The Secret Diary of Steve Jobs : Play the (unofficial) Apple Tablet game! 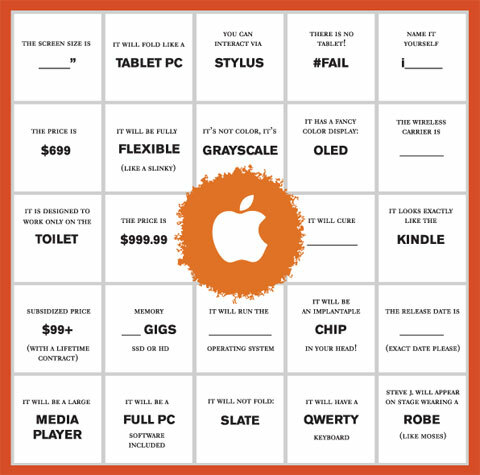 Play the (unofficial) Apple Tablet game! From the folks at the New York Times. This link opens a PDF of the image below. Play along with your friends! Fun for all!